An unsub kills Russell Pearson in Detroit and sets up his body like an art scene. He tags his work as "Morpheus". Tara Lewis gets home, and Doug Fuller announces that he's leaving her and heading to San Francisco. He says that things haven't been good between them for a while. The unsub kidnaps an eight month old baby and spray paints the baby monitor with red paint. The baby belongs to Stuart and Katherine Wallace. Stuart tells Rossi and Lewis that his storage facility had been vandalized by Morpheus with graffiti last week. Morgan interviews Marcus Ivey because he took down Morpheus' work earlier. Ivey tells Morgan he took down his work because of a turf war. He tells him that he thinks Morpheus is killing and kidnapping as a means of staying relevant. 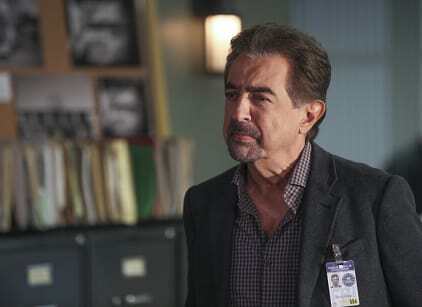 The BAU learn that Ivey is now missing. Rossi and Lewis go to his private studio and find him dead and hanging from the rafters. They also find a cradle and a stuffed animal belonging to the Wallace's baby. Reid examines Morpheus' signatures and concludes that the unsub is not him. It's someone who is mimicking Morpheus. Garcia identifies a possible associate of Morpheus, a man named Corey Marlin. Hotch receives an anonymous call from someone disguising his voice. He tells Hotch to go to a specific address if he wants to recover the baby. He gives him a half hour to get there. Hotch and Lewis go to the address and find a laptop. Hotch opens the display to find a video feed of an anonymous figure. The figure says he's Morpheus. Morpheus tells them he would never hurt a child, and that he didn't take the baby. He tells them that Marlin wouldn't have kidnapped the baby. Hotch and Lewis observe Morpheus speech pattern and determine Morpheus is a woman. Corey Marlin arrives back at his room. He throws his gun on the bed. He opens a door and the unsub clocks him with a weapon. He tortures him to find out Morpheus' location. Reid, Garcia and Hotch determine that Ellen Clark is Morpheus. Garcia tells them that she lost her child in a drowning accident in a lake. She says that William Cochran was the father of the child. Cochran has a history of mental instability. Garcia says that Cochran left his home in Georgia and took a one way ticket to Detroit. William Cochrane is the unsub. Morgan theorizes that Cochrane intends to kill Ellen Clark but first has to destroy her legacy by murdering people while pretending to be Morpheus. Cochran captures Clark at gunpoint. He tells her he's going to kill either the baby or her, but that she has to decide. She tells him to kill her and let the baby live. He grabs her harm and marches her away. Hotch gets word that Cochran has been spotted at a store in an art district. They have a location for Cochran's place. Cochrane takes Clark to the roof of his building, just as the BAU show up. Hotch gets to the roof and orders Cochrane to drop the gun. Cochrane grabs Clark and throws them both off the roof. Lewis: You were part of it, yeah. Ennis: Was it one of those deals where he says you have to choose one or the other? Lewis: Something like that, yeah. Lewis: No, Leonard. I chose me. Permalink: No, Leonard. I chose me.